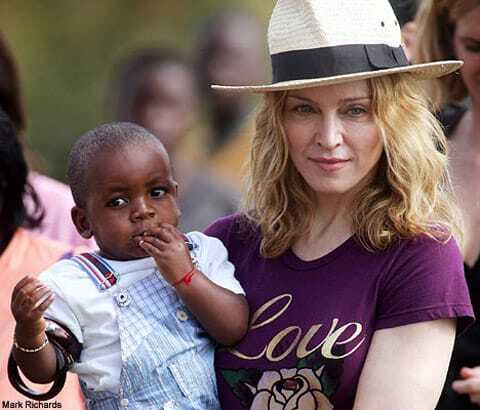 Reactions to the conviction of gay Malawi couple Steven Monjeza and Tiwonge Chimbalanga, who were sentenced to 14 years in prison with hard labor for "gross indecency" and "unnatural acts" for having an engagement ceremony in late December, came today from Madonna and the White House. 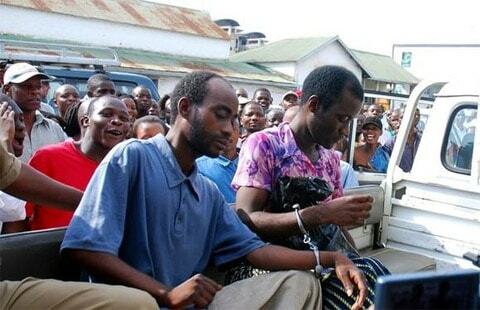 "I am shocked and saddened by the decision made today by the Malawian court, which sentenced two innocent men to prison. As a matter of principle, I believe in equal rights for all people, no matter what their gender, race, color, religion, or sexual orientation. Today, Malawi took a giant step backward. The world is filled with pain and suffering; therefore, we must support our basic human right to love and be loved. I call upon the progressive men and women of Malawi—and around the world—to challenge this decision in the name of human dignity and equal rights for all." "The United States strongly condemns the conviction and harsh sentencing of Steven Monjeza and Tiwonge Chimbalanga in Malawi. The criminalization of sexual orientation and gender identity is unconscionable, and this case mars the human rights record of Malawi. We urge Malawi and all countries to stop using sexual orientation or gender identity as the basis for arrest, detention, or execution." ALSO: A petition has been launched calling for the couple's immediate release.